I bought the Hazeline Snow Moisturising cream while shopping for other toiletries in a Watson store in Malaysia. I remembered clearly that this is the cream that my mum used to apply on her face every day many years ago. 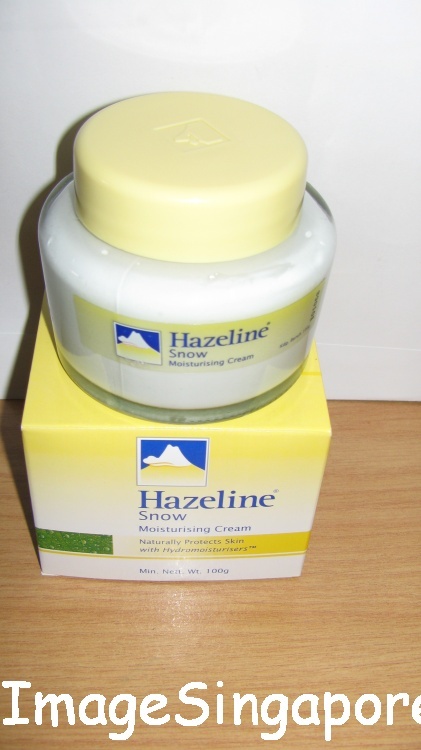 In fact, the Hazeline Snow cream was the most popular cream during my mum’s generation. The size and packing that I have bought was 100mg and if I could recalled correctly, it cost about RM$14. My friend who is a lady asked me why do a guy like me want to use the Hazeline Snow cream? Well, I have dry skin around legs and arms and it tend to get itchy when it becomes very dry. Doctors have recommended to me a few brands of moisturising cream; but these tend to have a oily effect on my skin after application. And so I decided to give Hazeline Snow cream a try and see the effect. After all, I reckon that if my mum had used it on her face daily years ago, then I could also used it on my arms and legs. The new Hazeline Snow cream now comes in a round glass bottle. When I opened the cap of the bottle and used my finger to feel the cream, there was a cooling and wet feeling around my fingers. I apply the cream around my legs and arms and felt that it was relatively easy to apply and spread it around my body. The best part of it was that there was no oily effect on my skin, unlike many other moisturising cream. According to the information on the box, this cream is water based and 100% oil free. The cream has a light talcum powder smell but the smell was soon gone about half an hour after application. After applying Hazeline Snow Cream for more than a week, the effect was that my skin around my legs and arms were well mositurised without the oily feeling unliked the previous moisturising cream which I have used. This means that immediately after applying Hazeline Snow cream I could put on my clothes; as there was no oil residual on my skin. There was no rash or irritation effect on my skin as well – so it means that this cream is suitable for me. I cannot feel whether my skin is now more smooth or supple ( as stated on the box ) – maybe I have thick skin. But I can ascertained that my skin no longer feel dry and itchy even in a dry and cold environment. 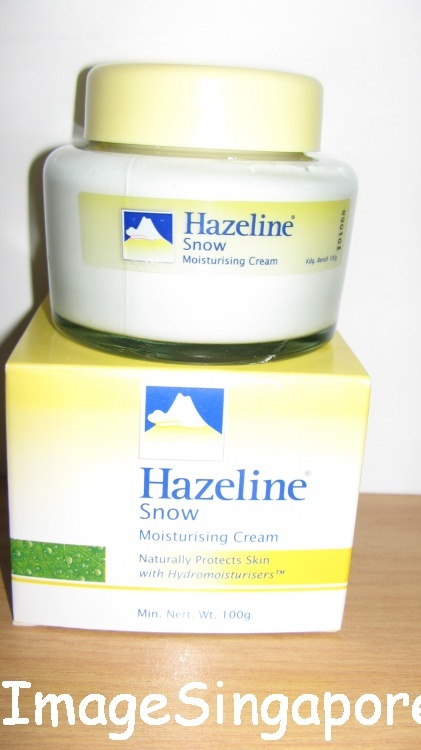 By the way, the Hazeline Snow cream also have a whitening moisturising cream which is more expensive in price. I didn’t buy it as I don’t need my skin to be lighten or whiten – more suitable for ladies. So my assessment of Hazeline Snow Moisturising Cream is that it is a effective moisturising cream, it is very reasonable in price, it is totally water based which is good for me and it is very easy to apply. Accordingly to the instruction on the box – need to place it in a cool dry place and apply twice a day. My friend told me to put it in the fridge, I just leave it on the table. No time to apply twice a day, so just apply once a day. And I have also decided to ditch the oil based moisturising cream and used the Hazeline Snow Cream in future. Among all the household chores at home, ironing clothes seems to be the most boring chore to me. So normally I would buy clothes that are with non creased fabric; but it is not possible to buy all your clothes with non creased fabric. So when it comes to ironing my clothes, I would liked to get it done easily and as quickly as possible. 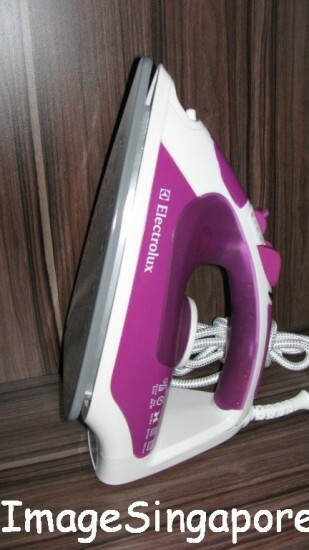 Having a quality steam iron had helped me to reduce the time and effort in ironing my clothes. What do I go for when choosing a good steam iron? Besides looking at the budget in which I am willing to pay; there are a few features that I would looked for when buying a steam iron. Remember the more features there are, generally it means that the steam iron will also cost more. a) a good steam iron must be easy to use, durable, anti slip and looks good in my home. b) the soleplate of the steam iron must be non stick and scratch resistant. c) the iron should be able to generate a strong steam so that creased fabric can be worked on very quickly. d) the water tank should be large enough, preferably above 300ml in capacity. f) the steam iron must have a long cord preferably having a 360 degrees swivel – this will make ironing easy. g) the weight of the iron must not be too light nor too heavy. I think weight is rather subjective. So long as you are comfortable with it, that is all that matters. h) auto off features. There may be times when you forget to turn off the iron, so the auto off features is a good safety feature to have; as it switch off the steam iron automatically after certain period of inactivity. The new version of steam iron even have a blink and beep indicator. The auto off feature will definitely gives you a peace of mind. i) temperature dial for all kinds of fabric. I just simply select the fabric on the dial and the steam iron will automatically set the correct temperature. j) anti drip and anti calc. The anti-drip function will prevent the water from dripping on the clothes when I am ironing the clothes. And the anti calc will clean the soleplate and prevent the mineral sticking inside the steam holes of the iron. k) pilot light indicator and spray function. The spray function is useful when you are working on clothes that are heavily creased. 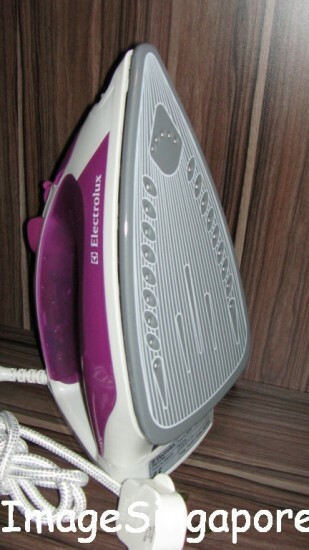 Recently I saw a number of cordless iron being introduced in the market. These steam iron need to be recharged periodically. Personally, I would still prefer using the corded steam iron. Because when I need to use the iron, I simply turn it on, wait for a while and then start working. And when I am done with it, I simply turn it off – it is that simple. Most steam iron will last a few years when we take good care of it. I would set a higher budget to buy a better quality steam iron as I know that it will serve me well and make this ironing chore more pleasant. The old Creative speakers that I have bought about 3 years ago had become faulty, there was no sound coming out from the speakers. I tried to disassemble the speakers to see whether I could repaired it. But I was unable to know what actually was the fault – its the norm as I am basically a non technical person. So the next best thing to do is to buy a brand new speakers for my PC. I went to the mall to tried out a few speakers such as – Harmon Kardon, JBL, Logitech, Altec Lansing and of course the Creative speakers. After trying out the speakers and buying within my budget, I have decided to buy the Creative Gigworks T20 Series 2 speakers. Incidentally I bought this Creative model speakers without even testing it out in the mall. I know from the fact that I was pleased with the performance of the previous Creative speakers – so I bought it based on the brand’s reputation, so to speak. I am not an audio fanatic and my requirement of a good speaker is simply clarity and natural sound. 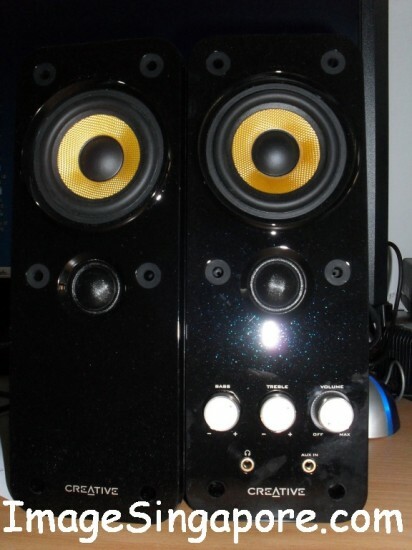 Anyway the technical specifications and information of the Creative Gigworks T20 Series 2 are as follows: – 14 watts RMS per channel ( 2 channels), Frequency response – 50Hz – 20 Hz, Cloth Dome Tweeter, Woven Glass Fibre Cone Driver, 2 Way Design, BasXport, Convenient front access and with TV/Game console adaptor. I took out the speakers from the box and placed it on my table. So the first thing that comes into my mind was that it is a well designed speaker. It is compact and the controls are in front – the On/Off volume, treble, bass, Auxiliary in and Headphone out. So that makes things very convenient for me as the speakers sits on the table facing me. When I turned on the speaker, I am pleased with its performance – there is clarity and the classical music that I played had sounded natural. Even when I pumped up the volume, bass and treble – the sound clarity was still good. You can in fact filled up a 500 sq feet room with clean and clear music with this speakers. 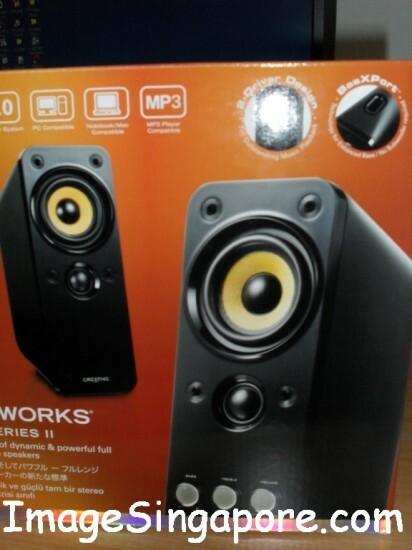 I also tried playing games on my PC using this speakers, again it perform well to my expectation. I think this speakers would also paired off perfectly with my LCD TV; though I did not tried it. Overall the Creative Gigaworks T20 Series II is a good speakers to have in my home – it is beautifully compact and yet delivered great sound. There is a one year warranty period given and I just simply registered it online. A friend of mine bought a treadmill recently and was excited about the benefits of having a treadmill in his home. He felt that it would bring the benefits of exercise irregardless of the weather. 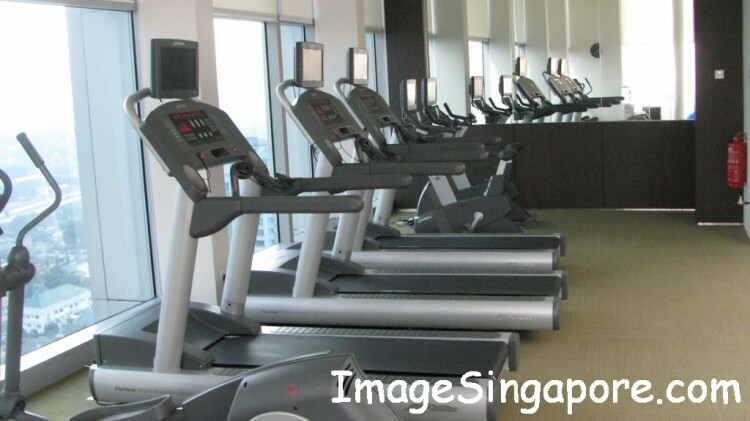 A treadmill is an investment if it add considerable value to your exercise regimen and overall health. After all, the cost of buying a good treadmill is not cheap unlike buying a bicycle. A reasonable quality treadmill with all its gadgets could easily cost more than US$1000 and this is not the top of the range. 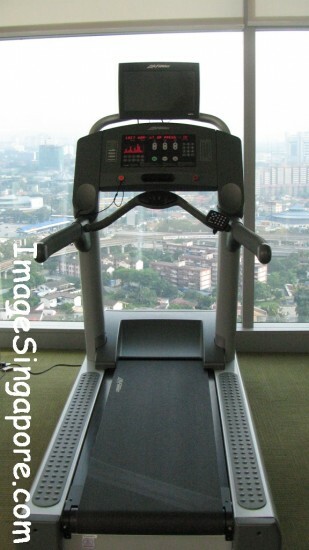 I have seen treadmill with TV mounted on it at the Gym Club and it can also monitor heart beat and measure calories. I wonder what is the price of this treadmill – should be expensive. The good thing about having a treadmill at home is that you can exercise any day irregardless of the weather outside. You can do it anytime of the day or night safely in your home. And if it is good treadmill, it allows you to keep track of your exercise performance daily with measurements on the hours, speed, distance and calories. But it takes good amount of discipline to keep track of your performance and even to exercise on the treadmill daily. I know for sure that I would not be able to do it every day because it looks more like work than having fun. I noticed that the treadmill in my friend’s home seems to take up quite a lot of space in his room; making the room looked rather cramped. Personally, I would prefer outdoor walking than walking on a treadmill. Outdoor walking is more fun and you get to see many things along the way. It is an activity that is not so rigid and confined like walking on a treadmill; and you get to breath the outdoor fresh air as well. I could easily complete a 10km walk happily without feeling that I am working or exercising to keep fit. At the end of the walk, I would normally sit on a bench and look at the trees and pond in the park; which I find it very relaxing. If I want to walk on the treadmill, I prefer to do it at the Gym rather than in my home. In a Gym, I can see many people exercising on different machines, and this gives me the spur or motivation to walk on treadmill without feeling bored. If I am walking on a treadmill at home, I would turn on the TV or the music so that it would not be so bored. So at this moment, I would not be following my friend to buy a treadmill. It is because I know that I would not be discipline enough to use it every day or even once a week. It might end up sitting there in the room for years till I get rid of it. Outdoor walking is definitely my type of exercise which I truly enjoy. There are so many types and brands of shoes in the market today that people may be overwhelmed by the unlimited choices. For myself I have the tendency to stick to a few brands when it comes to buying a pair of shoes. 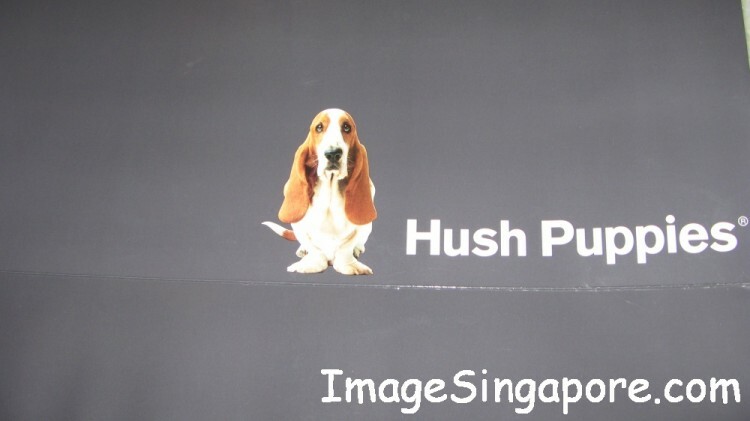 One of my favorite brand of shoes is the Hush Puppies shoes. I have been wearing Hush Puppies shoes for many years and it has given my feet lots of comfort. There are many other brands of shoes which I have tried, it looks nice and fashionable; but my feet would feel sore if I stand for a longer period of time. 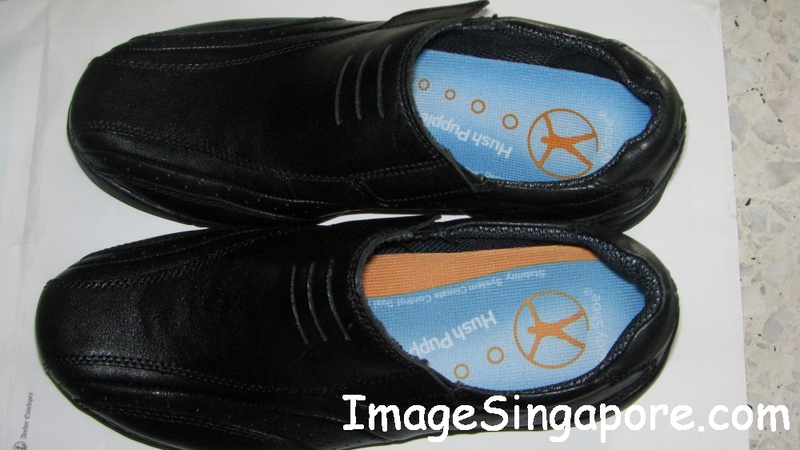 One of the main feature that I liked about Hush Puppies shoes is that it is absolutely light weight. So far I am not able to find another similar brand of shoes that is as light as the Hush Puppies shoes. Whenever I put the shoes, it felt as though I am not wearing any shoes at all. The light weight material in the shoes make walking a easy and comfortable task. 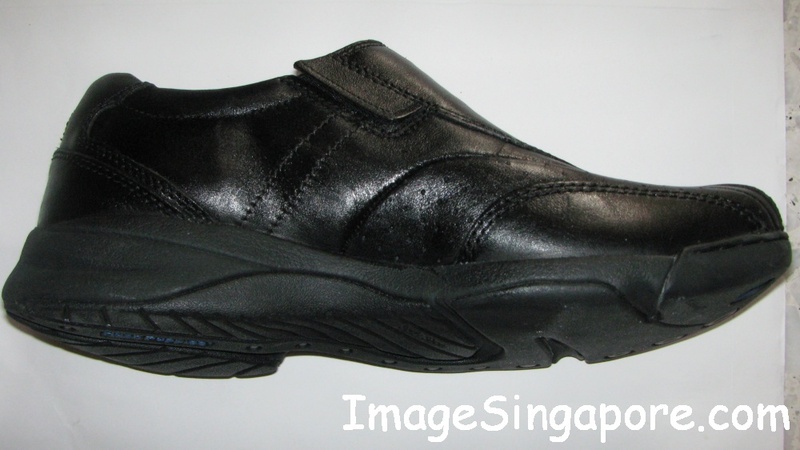 Though the shoes are light weight, it is very durable and tough. I know it because I am someone who enjoy walking – it is my way of keeping my body fit and keep my weight in check. So walking for 5km on a typical day is a norm to me and my Hush Puppies shoes have always provided me the comfort while walking. Recently I have bought a pair of the Hush Puppies The Body Shoe. I liked it as it is light weight and after wearing it for a whole day, my feet feels comfortable, cool and dry. There is a climate control features that is built in this shoe – I have no idea what it is but it doesn’t matter. I know that when I walk or stand for a long period of time wearing The Body Shoe, my feet do not ache or feel tired. And when I have to walk in the rain, the water do not seep into the shoes. The leather of my shoes seems to repel against the water; thus keeping my feet dry. Though the Hush Puppies – The Body Shoe cost more that other brands of shoes in the market, I feel that it is a worthwhile investment. After all, if my feet can stay comfortable all day despite walking and standing, then it is a health benefit. How do I take care of my shoes that takes care of me? I will let it air and dry at my balcony. Every week I would clean it with a damp cloth and thereafter apply a layer of Kiwi liquid shoe shine on the leather. It is a simple 10 minutes procedures for cleaning and nourishing my shoes which serves me well in taking good care of my feet. 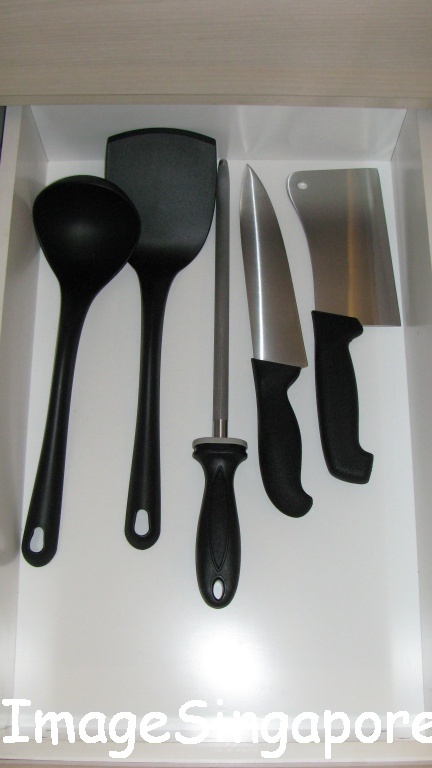 There are many types of cutlery and flatware that are available in the market. 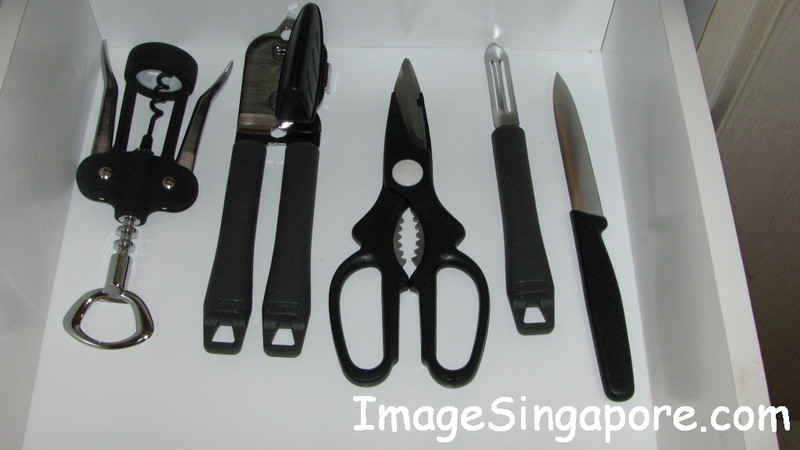 Some people will buy the cheapest cutlery set as they feel that it is not something that is worth spending on. In their view, a fork and spoon is just a fork and spoon; so long as it served its purpose, that is it. But poor quality cutlery and flatware will stain very easily and at times it will bend or break. Besides, it will give your friends or relatives a less favorable impression of you when you invite them to your home for a meal. Personally, I would buy a quality stainless steel cutlery set for my home and I know that it will last a long time and a joy to own. One thing that I looked for when I buy a cutlery set is that there should be 18/10 number stated in the box. 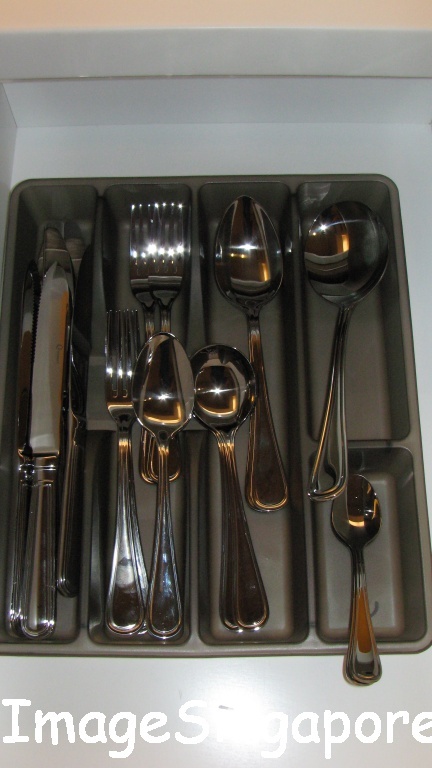 It simply means that the cutlery set is made of 18% chrome and 10% nickel. If the numbers are lower than this or worse still not stated at all, it means that it is of a lower quality. The higher the chrome and nickel content would translate that the cutlery and flatware will be less prone to corrosion, rust and stains. When you pick up a 18/10 spoon or fork, it look good and feel good on your hand. As far as the design goes, it really depends on your style and personality. I prefer the traditional style and design when I choose a cutlery set. And yet there are people who prefer the more contemporary or artistic design. It doesn’t matter what style so long as you feel good having it in your kitchen. To take care of the quality stainless steel cutlery set, you need to wash them thoroughly with water as soon as possible after use. This is to remove the food particles that are attached to the cutlery set. You can use warm water and mild dish washing detergent and then rinse it with hot water; thereafter just wipe it dry with a clean cloth. If the stains are still there, you can try using vinegar or lemon juice to remove it. By using this step method of caring for your cutlery and flatware, you can rest assured that it will serve you for a long time. 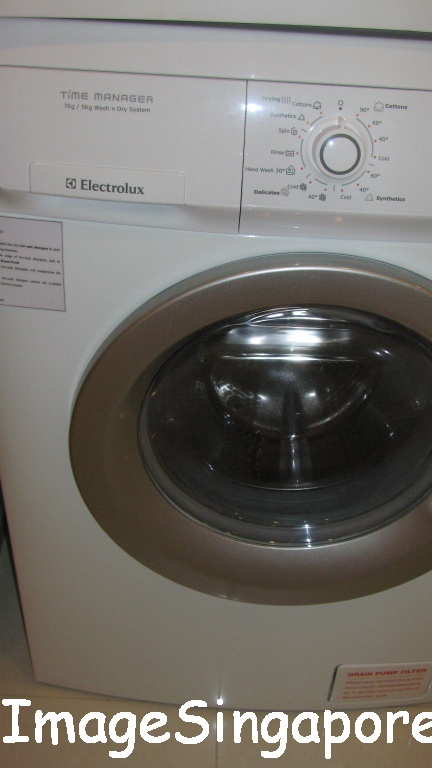 I stayed in the Somerset serviced apartment during a recent trip overseas and was glad that there was a Electrolux Washer-Dryer machine in the apartment itself. When I have the first look at this washer-dryer machine, it look beautiful but at the same time rather intimidating to me. There were buttons and symbols on the display panel that looked very unfamiliar to me. I was afraid that I may not know how to use this machine. 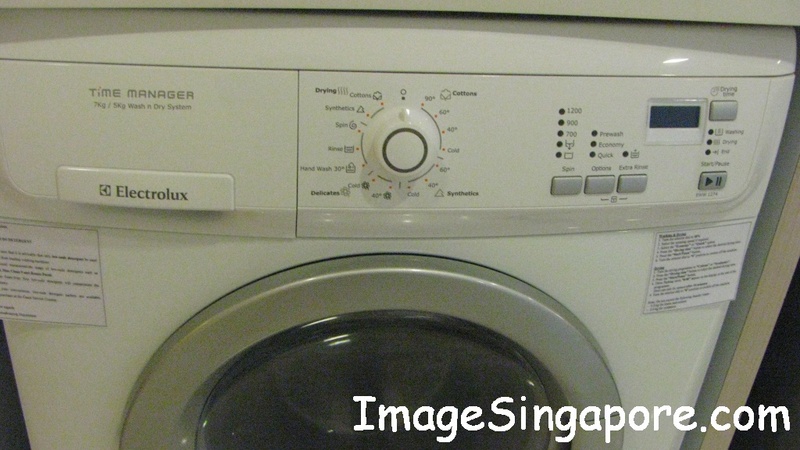 The washer which I have at home is a simple Samsung washer which has served me well. There is a small instruction notice pasted on the Electrolux Washer-Dryer machine by the Somerset serviced apartment to help people like me to use this machine. The first instruction was to use low sud detergent powder or liquid detergent. If you use the normal detergent, there would be lots of bubbles forming and this would reduced the cleanliness of clothes during washing. Anyway the Somerset apartment provided a box of low sud detergent and I poured it into the detergent compartment. There was also a compartment for adding liquid softener. After placing all the clothes into the washer drum and locking it, I simply turned on the washer. Then I select the timer to 1 hour 15 minutes and it was shown on the LCD display. There were also buttons for selecting things liked extra rinse and set the temperature. The maximum temperature that I could set was 90 degrees and that was very hot and it is used for washing of very soiled clothes. There was also the prewash, economy and quick selection; which I am not sure what it is all about. I selected the spin level to 1200 which is the highest and I expect the clothes to be moist but dry after the wash. There is a safety locked feature which prevents the child from operating the washer-dryer without supervision. This is good as it prevent damage to the washer and/or injury to the child. On the LCD display, there are a number of symbols being displayed when the machine is operating. I guessed it is displaying the functions that I have selected for this wash. Anyway, when the washer-dryer was running, I simply leave it alone to complete the task. After the washing was completed, I opened the drum door and touch the clothes, it was dry and moist. The spin function of 1200 which I had selected have done a good job. Even my pair of jean was dry and my synthetic fibre sport singlet was as good as you can wear it straight away. I locked the drum door and then select the dryer function. It is the same knob as the washer except that you now turn the knob to your left. I selected the cotton and set the time to 1 hour 5 minutes. I wasn’t too sure whether my pair of jean and bermudas shorts can be dry with this setting. Anyway I left it alone to do its work and came back when I heard the beep sound coming from the washer. The instruction stated that I was supposed to wait for 10 minutes after the drying was done. The drum door was quite warm to touch and I set back the knob back to neutral which is 0 symbol. When I touched the clothes, it was very warm and dry. I was surprised that even my pair of jean was completed bone dry. As the clothes were warm, I took them to the balcony simply to cool it down for 10 minutes before putting it into the walk in wardrobe. My view of the Electrolux Washer-Dryer machine is that it is a very good machine. I really loved having one at home as it does a good job in both washing and drying. During the operation, it was relatively quieter that my Samsung washer that I have in my home. It is beautiful and solid built and do not take up space in the kitchen. The only setback is that it may take time for me to learn and understand all the functions and capabilities of this machine. Another setback is perhaps the price which definitely cost more than the Korean washer. Perhaps I should start saving up money to buy this Electrolux Washer Dryer to replace my current Samsung washer.